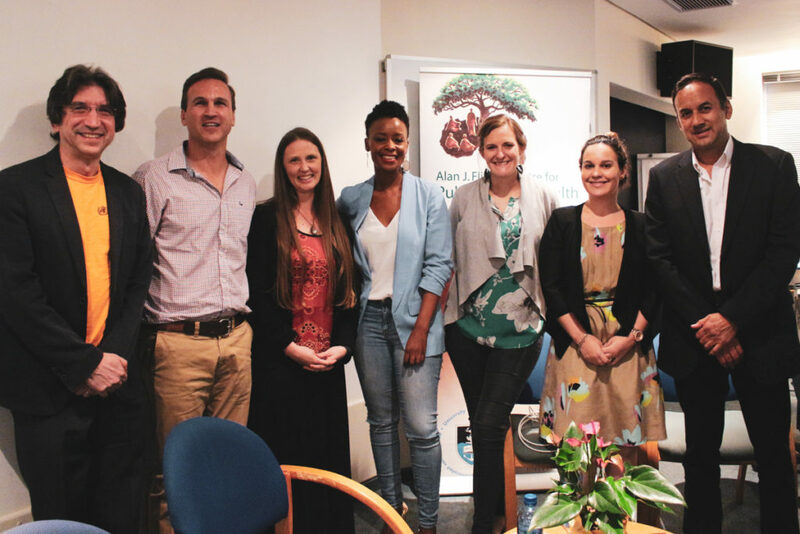 On World Mental Health Day this year the Alan J Flisher Centre for Public Mental Health again organised a roundtable discussion to commemorate the day. With this year’s theme, set by the World Federation for Mental Health, being “Young People and Mental Health in a Changing World”, we invited three researchers to present on their work relating to this theme. 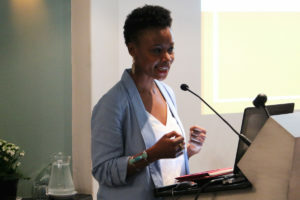 South African actress and TV presenter, Bonnie Mbuli, ended the presentation by speaking about her own experience with clinical depression and anxiety. Dr Jason Bantjes, a psychologist with a masters degree in Counselling Psychology and a masters degree in Research Psychology is currently a lecturer in the Psychology Department at Stellenbosch University and the South African National Representative for the International Association of Suicide Prevention. 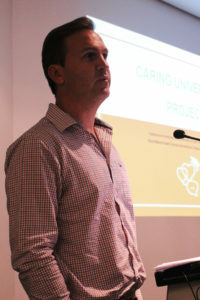 He presented on the Caring Universities Project – a study being done by Stellenbosch University and the University of Cape Town in collaboration with the World Mental Health Surveys International College Study Project (WMH-ICS). In a sample of over 1400 undergraduates 38% had a mental disorder in their lifetime and 85% began before 18. 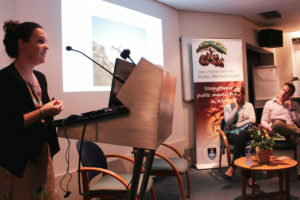 Dr Tara Carney is employed as a Senior Scientist in the Alcohol, Tobacco and Other Drug Research Unit of the South African Medical Research Council. 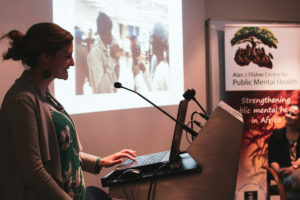 Dr Sarah Skeen is the Programme Director for the Partnership for Alcohol and AIDS Intervention Research (PAAIR) programme. She has been responsible for the coordination and implementation of several large studies in South Africa, Zambia, Malawi, Lesotho, and Kenya. Dr Skeen noted that the Helping Adolescents Thrive evidence review identified effective components of universal psychosocial interventions for improving mental health, risk behaviour and self-harm and that interpersonal skills and emotion regulation skills are top components. Bonnie Mbuli then spoke frankly about her journey with clinical depression and anxiety. 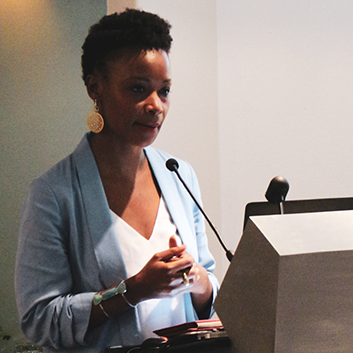 “My longing is to be part of the conversation on intervention and what it may look like … I want to encourage people to not be afraid to open the door and face the darkness,” Mbuli said. “I’ve tried to just share with people the fight, the fight for your mental health. Help is out there and help helps … It’s got to be a mind, body and soul approach,”she said. The event was partly sponsored by UCT’s Division of Public Mental Health’s social responsiveness committee. Prof Dan Stein, Dr Jason Bantjes, Prof Katherine Sorsdahl, Bonnie Mbuli, Dr Sarah Skeen, Dr Tara Carney and Prof Ashraf Kagee.